Andrew Martin wants to hear from you! Andrew Martin has a vision for the office of State Treasurer and what it can do to serve the people of Nevada. Citizen engagement is essential to good government and critical to the success of the state. We deserve to know the “bang for the buck” on programs we fund. We deserve to know that our tax dollars are being spent wisely to accomplish tangible results, not wasted without accountability. State agencies and departments requesting funding should be required to provide strategic plans with verifiable goals, linking dollars spent to measurable outcomes that are tied to state-wide priorities, such as job creation, higher student test scores, lower crime rates, and a healthier population. Andrew Martin is a strong advocate for enacting standards for customer service and performance outcomes. He believes that if you can’t link spending to accomplishments, and you don’t adequately serve the public, you shouldn’t be funded. He is an active member of the Association of Government Accountants (AGA) and is working with its Director of Performance Reporting to identify best practices in federal, state and local governments around the country. Andrew Martin’s legislative experience and the relationships he has built with other elected officials and business and community leaders will help break gridlock, forge consensus, and enact these standards in his position as the State’s Treasurer. Andrew Martin’s extensive professional experience makes him uniquely qualified to be a financial guardian of Nevada’s tax-dollars. Citizen engagement is essential to good government and critical to the success of the state. We deserve to know the “bang for the buck” on programs we fund. The Treasurer’s responsibilities include publishing reports detailing the State’s finances, economic outlook, major initiatives and future challenges. Andrew Martin will publish these reports in plain terms, not accountant language, so everyone has the ability to review how our tax dollars fund Nevada’s programs. By engaging community leaders and business owners in robust discussions about the financial health and future prospects of Nevada we can create a connection between the work of the Treasurer’s office and the needs of the state. Andrew Martin will host public meetings where questions can be answered, comments gathered, and explanations provided regarding the financial health of Nevada, its economic outlook, and the challenges we must address. Andrew Martin understands Nevada’s finances. He has worked on Nevada’s budget and knows what needs to be done to improve our economy. Let everyone know Nevada is open for business! Bond rating agencies and federal grant administrators rely on financial and performance reports issued by the Treasurer to determine Nevada’s economic health. Accurate, credible reports are crucial in securing favorable borrowing costs and safe-guarding federal grants for education, health care, law enforcement, universities and more. Andrew Martin will make sure the worldwide financial community knows that Nevada is the right place to invest and grow their business. He will work closely with the other constitutional officers to improve Nevada’s business climate in order to improve our economy and stimulate job creation. Andrew Martin will work closely with the other constitutional officers to improve Nevada’s business climate in order to improve our economy and stimulate job creation. The quality of our education system is a critical success factor for economic development and job growth. A highly educated population yields a highly skilled workforce that fuels investment and job creation. High school dropouts experience very high unemployment and low wages, and college graduates have far lower unemployment rates and higher incomes. Martin supports creating a dedicated revenue stream for education, and would also be supportive of a protected education fund that could generate surpluses during economic booms and protect teachers and students from draconian cuts during economic busts. Andrew Martin supports creating a dedicated revenue stream for education and a protected education fund. Nevada’s State Treasurer is the custodian of all public monies in the general fund, various trust funds with specialized purposes, and unclaimed property fund. Andrew will ensure taxpayer money is managed, monitored and invested prudently. 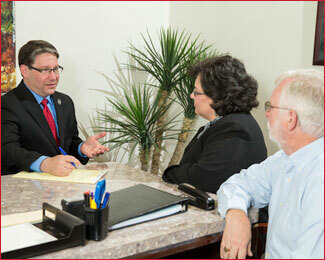 Andrew is a financial professional who has extensive professional knowledge of suitable investments for our state. He has served as compliance officer for independent money managers and has been a champion of fiscal accountability, including authoring and passing AB 327 State Accountability Act. As State Treasurer, Andrew would have a seat on the Executive Branch Audit Committee, which is responsible for developing and monitoring accountability programs such as risk assessment, internal controls, fraud detection and transparent reporting to citizens. Andrew’s lifetime of professional experience as Certified Public Accountant and Certified Fraud Examiner, combined with his public service as Assemblyman and members of Economic Forum and CCSD Bond Oversight Committee, make Andrew an ideal member of audit committee especially as we have large construction projects that will require bonding and require oversight. "By engaging community leaders and business owners in robust discussions about the financial health and future prospects of Nevada we can create a connection between the work of the Treasurer’s office and the needs of the state." Paid for and authorized by Andrew Martin for State Treasurer. Political Contributions are not tax deductible as charitable contributions for Federal Income Tax purposes. Contributors must be U.S. Citizens or Green Card holders (permanent resident). Contributers may contribute up to $10,000, $5,000 for the Primary Election and $5,000 for the General Election.